Our dear dog Barney, who has a special spot in my heart. I introduced him to Putin -- Putin kind of dissed him... "You call that a dog?" A year later, [Laura] and I go to visit Vladimir at his Dacha outside of Moscow and he says, "Would you like to meet my dog?" Out bounds this huge hound, obviously much bigger than a Scottish Terrier. And Putin looks at me and says, "Bigger, stronger and faster than Barney." 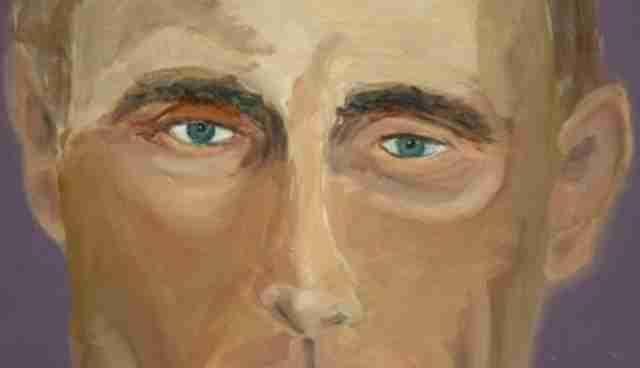 Bush said the moment defined his view of Putin thereafter, and has even influenced his portraits of the Russian president since he took to painting in his retirement. 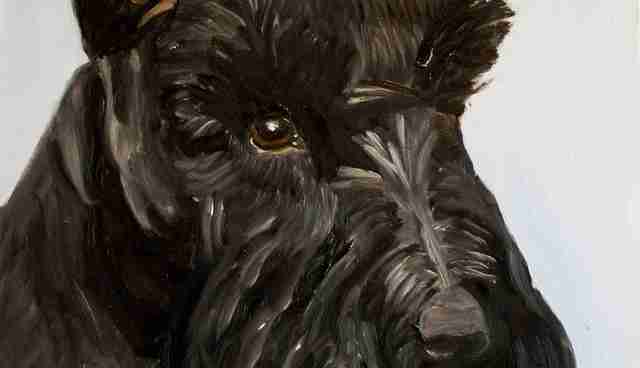 (An exhibition of Bush's work recently opened in Dallas and, in addition to his painting of Putin, there are a number of portraits of dogs.) "I took it in. 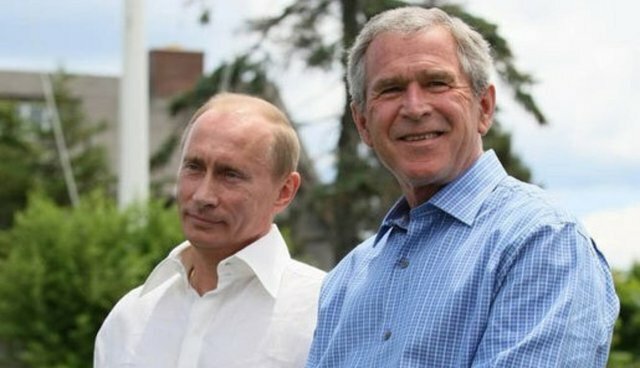 I didn't react," Bush said. "I said, ‘Wow, anybody who thinks "my dog is bigger than your dog" is an interesting character.'" You can catch the rest of Bush's interview with his daughter at Today.com.